Due to the huge interest we have received so far for the current Battlefield 4 T-Shirt Competition on Twitter, we have decided to give a way three more T-Shirts which can be won as early as tonight!!! 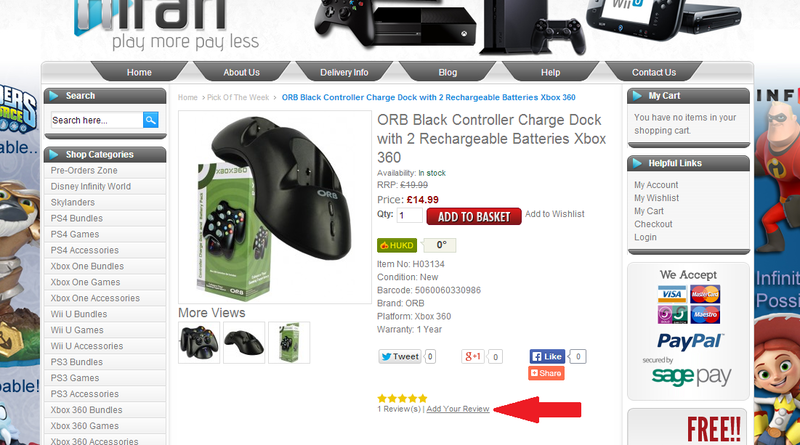 Go to our website: hitari.co.uk , select a product of your choice and submit a review for that product by clicking "Add Your Review" on the product listing of your choice as shown on the snapshot below. Please ensure the review is your own personal review, detailed and balanced and refrain from submitting reviews for items that are “Out of stock”! Once done, tweet us the link to the product you have reviewed and the name used to submit the review. The first 3 best reviews will automatically win Battlefield 4 T-shirts! !!! The winners will be announced as soon as the review is published !! !